The Entrance Exams of Law 2015-2016 in India are carried on the National level or University level to provide admissions to diverse law colleges and universities all across India. 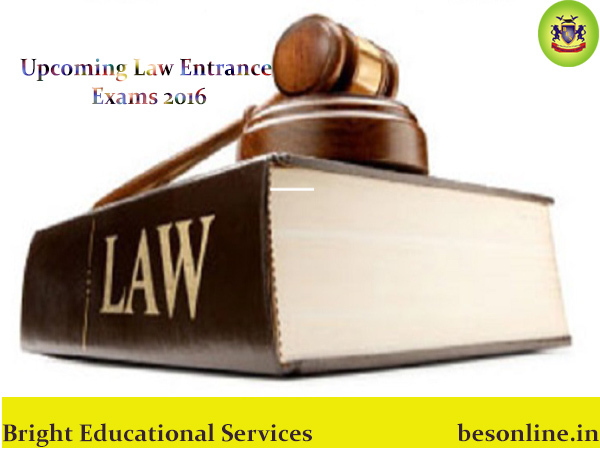 For more information on upcoming law entrance exam 2016, log on to the official website of Besonline.com. • CLAT- It is perhaps the most popular Common Law Admission Test in India. All these exams may be conducted in different times of the year but majority of them are conducted in the month of May and June. The Bar Council of India(BCI) have told the Supreme court that all those who have obtained 10+2 or Graduation or Post Graduation degrees through open Universities will not be allowed to take admission in the law courses. Law books are available in the market and you can also order a wonderful collection online as well. For any other assistance, please log onto http://www.besonline.in/ or contact us at 9564733330. Get updated Entrance Exams 2016 details!